COMPTON, California -- Compton native and music mogul Dr. Dre is giving back to his hometown, donating $10 million to help build a performing arts center for Compton High School. The center will include a 1,200-seat theater and will be part of a new facility that is expected to break ground in 2020. Dre said the center will be a place for young people to be creative in a way that will help further their education and positively define their future. Dr. Dre - born Andre Young - grew up in Compton and first rose to fame as a member of NWA, whose debut album was titled "Straight Outta Compton." He later found success as a solo artist, producer and businessman. His most lucrative move was launching the headphone brand Beats by Dr. Dre in 2008 - which was acquired by Apple in 2014 for $3 billion. Forbes recently estimated his net worth at $740 million. Compton Unified School District board President Micah Ali thanked Dr. Dre for the donation. "The Compton Unified School District is building what will be the most modern high school complex ever provided to public school students. This extraordinarily ambitious project will be a beacon for transformational change in Compton - giving our community an unparalleled access to opportunity and achievement," Ali said. 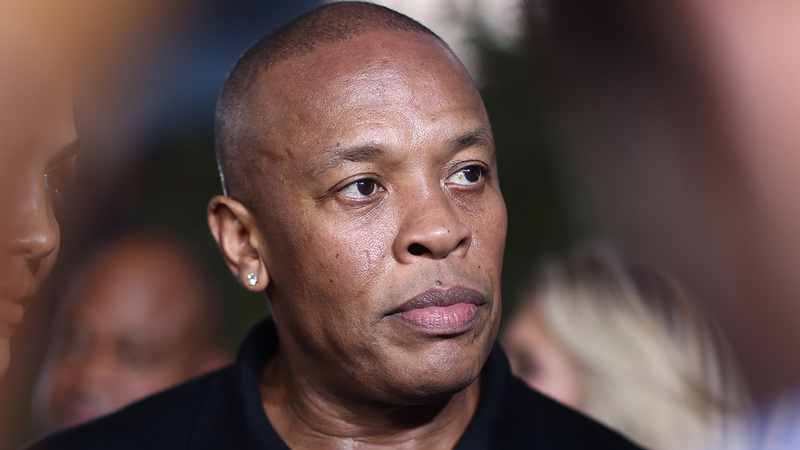 "Dr. Dre has stepped up and partnered with the school district to make this vision a reality. A true act of giving back to the community in a way that will directly impact the ever-resilient efforts of our students to rise-up and succeed. A true act of leading the way and standing as an example to others of how never to forget where you came from."